This is pretty much how an Australian species of bird, the superb fairy-wren, seems to learn about threats, according to new research published today. This would be a first in our understanding of avian intelligence. 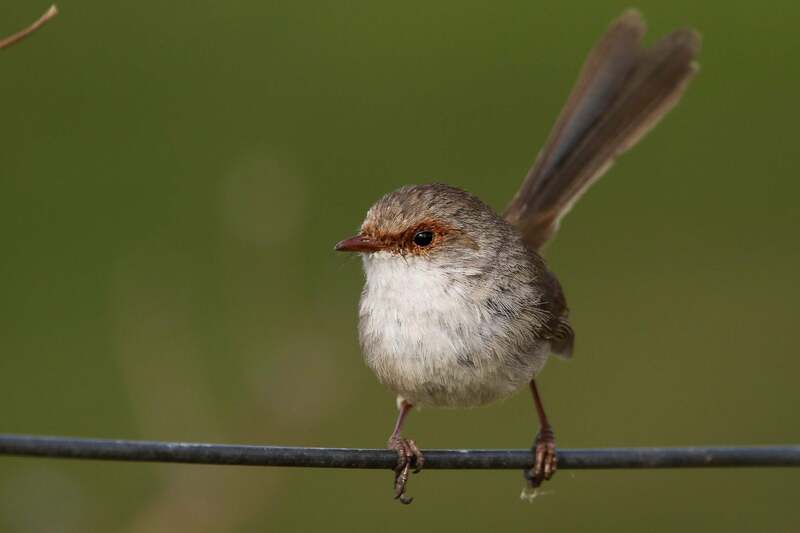 Birds are generally smarter than humans think, and scientists have already figured that these fairy-wrens recognise threatening calls from other animals. But how do they learn these calls? What if they hear a predatory bird’s call for the first time without seeing the predator? The scientists played alarm calls over speakers for 16 tagged birds in the wild. They first played two sounds the birds would never have heard before: one computer generated and the other a species the wrens would never interact with. You can listen to these here. “It suggests the training hasn’t just made them more wary, but rather they’d learned the meaning of the alarm call we paired with a known call,” Andy Radford, professor of behavioural ecology at the University of Bristol, told Gizmodo. And the difference is impressive. According to the study, after training, birds fled in response to 81 per cent of the newly trained sounds on the first day and 78 per cent on the second day. The control group of birds, which heard a recorded sound not paired with any alarm call, fled in response to 38 per cent of sounds they heard on day one and 19 per cent on day two. Here’s one of the choruses of alarming sounds mixed with fairy-wren and other bird calls. This experiment excels in a place where other animal research is often flawed—it studied wild animals in their natural habitats, rather than in a lab, where their behaviour might be significantly altered by the unnatural environment. But there are still limitations to point out. Potvin noted that the researchers couldn’t control for the action of other surrounding birds not part of the study, who could have influenced the results. “We did try and make sure we knew what other individuals were around, and their reactions to the experimental process,” she said.